Your spirit holds a voice from the past. Thank you for the miracle. The man who bought your great great grandfather’s whale bone comb is Kajetan Fiedorowicz — pioneer in the antiquities world, professional photographer, and author on this blog. Serendipity plays creative games with chance, doesn’t it? Your note brought us all joyous surprise. 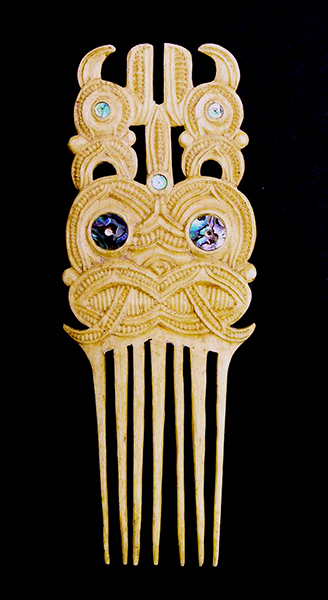 He sent me another photo of Mr. Tamatea’s work to put on the blog as a present for you. Have you ever seen this one? In it, your great great grandfather gave this Heru two different colored paua-shell eyes, one dark – one light, clearly symbolizing the sun and the moon. I hope you enjoyed discovering us, as much as we were thrilled to hear from you. In 1840, the year Queen Victoria married Prince Albert, New Zealand became part of the British Empire. Maori chiefs signed the Treaty of Waitangi. European settlers imposed their own economic and legal systems on the Maori, took most of the land, and left them impoverished. Seeing his genius in canoe carving, I have to wonder how much Captain Mair paid him. This priceless masterpiece in the Auckland Museum is a Tamatea, whose name is not listed on the information card, so I’m adding it. As a kiwi, I feel I should let you know you are mistaken. These whalebone combs do not represent the Egyptian god Heru. 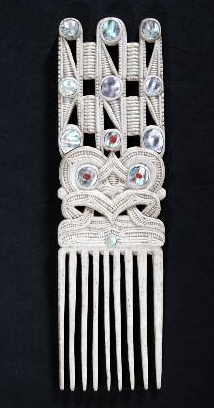 ‘Heru’ is the Maori word for ‘comb’ – ‘heru paraoa’ means ‘whalebone comb’. In this context, the word heru has no connection with Egyptian mythology. I’m not sure what these carvings do represent, but I recognise the style of the main figures from carvings throughout the country. Only the carver knows the true, or deeper, meaning – or if there is one. I can tell you that in Maori culture (which has strongly informed developing NZ culture) a person’s head is ‘tapu’ or ‘sacred, prohibited, restricted, or under protection’. The higher the rank of the person, the more tapu their head. 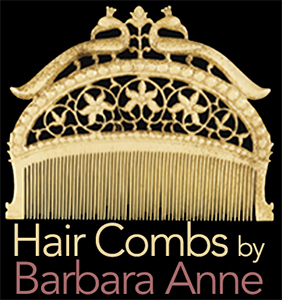 Therefore, anything that came in contact with the head (like combs!) was also tapu, and had to be treated with great care. 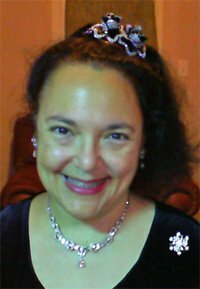 If you are interested in mythology, Maori mythology is ancient, rich, and fascinating. We may be at the bottom of the world, but we even have Maori fairies! Thank you so much for clearing this up. Not one of us could tell the difference between the Maori “Heru” and the Egyptian “Heru,” but we knew they were entirely different! I am so happy you wrote in. I will make a blog post out of your comment because all of us have been trying to figure this out for a long time! Thank you, again. Thank you. I will amend my post.